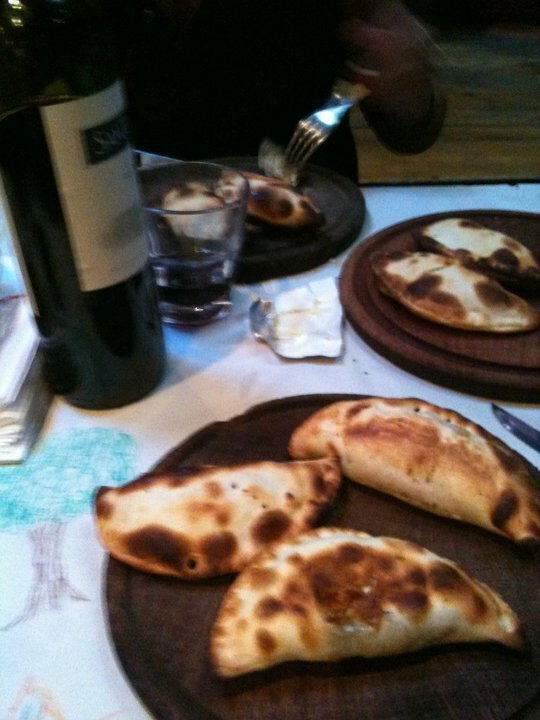 A few years ago when I visited Annica in Argentina, we ate a lot of Empanadas. Some were filled with steak, peppers, and cheese…others with cheese and green olives, ham and pineapple, beef and raisins…there were a lot of great combos. The pictures, obviously, do not do these babies justice. They were all incredible. I wish I remembered all of the fillings…The ones below were my favorite, instead of being completely wrapped in dough they were like little mini pies. A totally amazing hangover cure…I mean what? 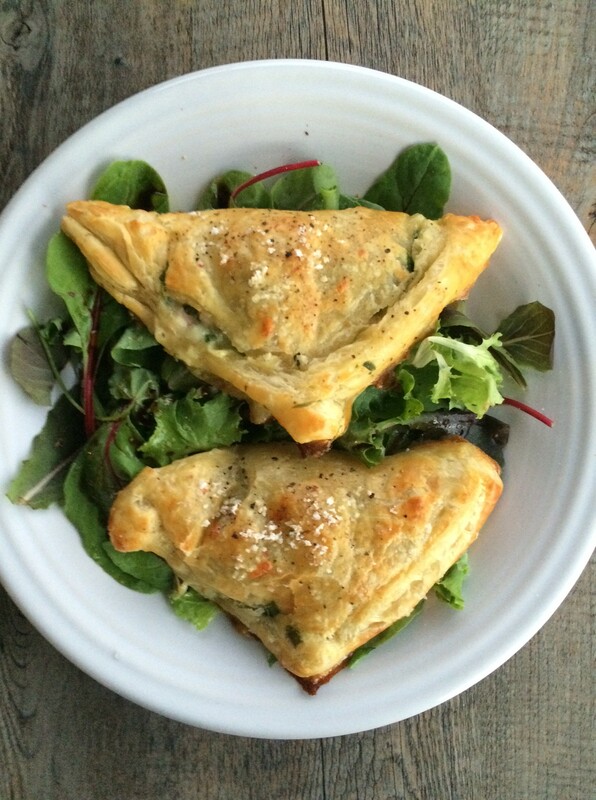 I was excited to see an “empanada” recipe from Ina, with an awesome filling of leeks, ham, spinach, cheese and basil. 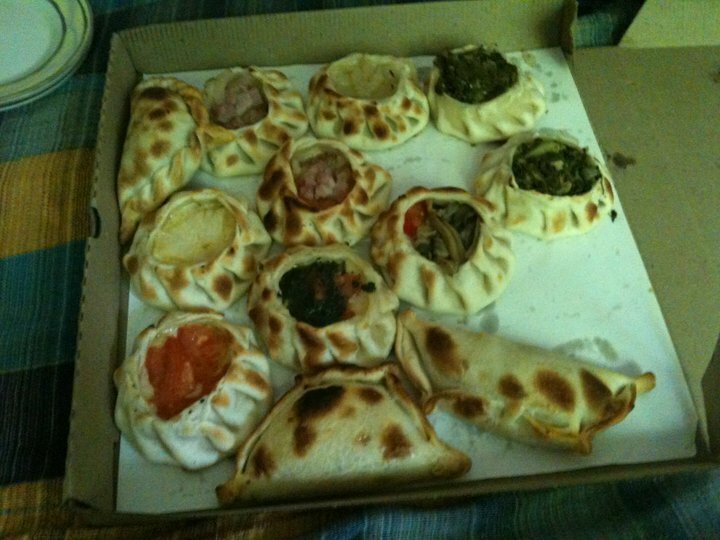 While puff pastry is not how they do it in Argentina, it’ll do to satisfy a good empanada craving. 1 1/2 cups small diced leeks. white and light green parts. Melt the butter oven medium-low heat in a medium saute pan. Add the leeks and saute for 4 minutes, until tender but not browned. Stir in the creme fraiche and simmer for a minute. Combine the ham and Gruyere in a medium bowl. Add the leek mixture, then the spinach, basil, Parmesan, 1 1/4 tsp salt, and 1/2 tsp pepper. Mix and set aside. Sprinkle a cutting board with flour, roll out one sheet of pastry to an 11×11 inch square, and cut it into 4 equal squares. Brush the edge of each square with the egg wash and place 1/3 cup of the filling in the middle. 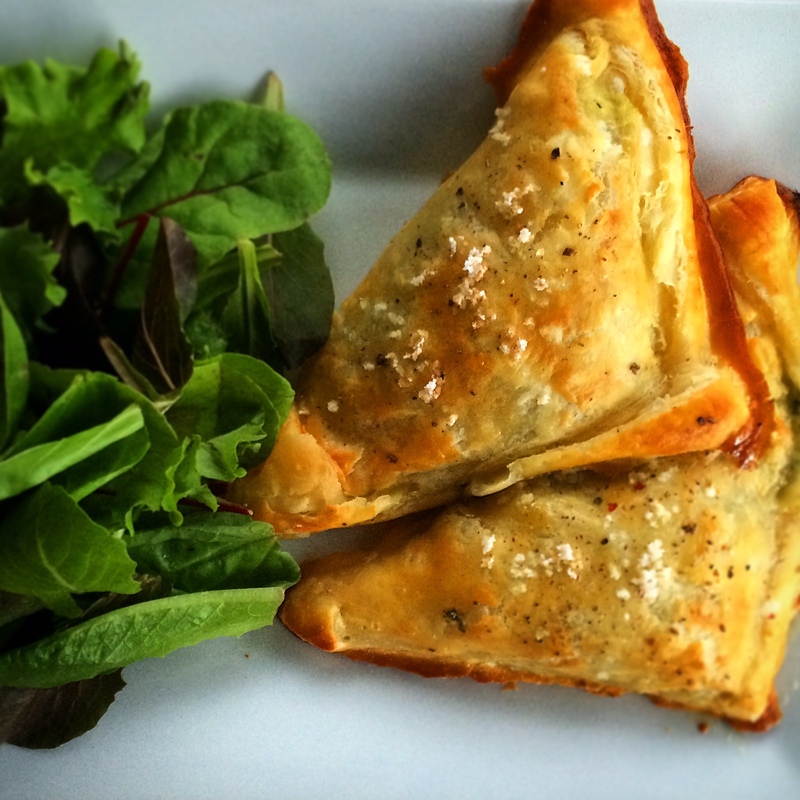 Fold the square diagonally to make a triangle, lining up the edges of the pastry. Place the triangles on the prepared sheet pans and press the edges with the tines of a fork to seal. Brush the triangles with the egg wash and sprinkle with kosher salt and pepper. Repeat with the remaining pastry and filling. Bake for 20 to 25 minutes, until puffed and golden brown. Allow to cool for 5 minutes and serve hot. Note: You may have a little extra filling. I saved ours and later smothered it on flatbread and threw it under the broiler for a few minutes. You could also spread the extra between sliced bread and make a panini/grilled cheese with it. I found all the filling wasn’t enough for 3 sheets of puff pastry, which is what Ina suggests.